Shhh – don’t tell! 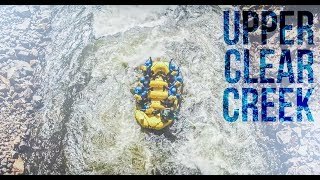 Did you know Idaho Springs rafting trips are some of the best in Colorado? 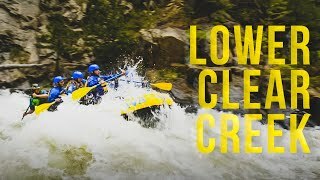 Located just 30 minutes from Denver and within an hour of Boulder, Summit County and Winter Park, you can find beginner to advanced whitewater rafting trips on Clear Creek as well as high-flying fun on our zipline tours. 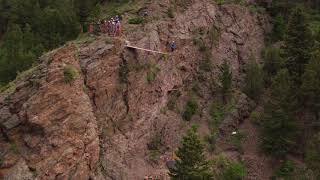 You can do both from the same location at AVA’s Idaho Springs Outpost! 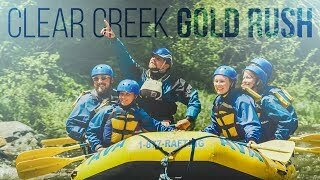 Our Idaho Springs white water rafting trips and zipline tours offer top-notch fun for all ages. 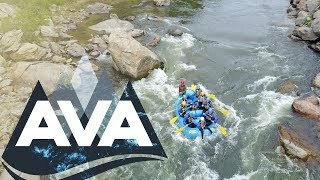 AVA offers trips in Idaho Springs with multiple departures times each day to fit your action-packed vacation schedule or your demanding work life. Sign up for an early morning trip to avoid the crowds or join us for an evening river ride to make the most of summer’s long days. 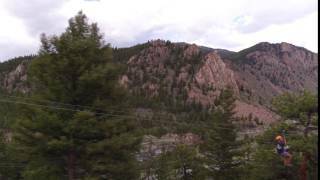 The historic mining town of Idaho Springs is famous for being the location of one of the first gold rushes in Colorado. Now it’s the home of adrenaline rushes! You’ll feel a world away from the big city even though it’s just 30 miles down I-70 from Denver. For your family meals or adventure après, you’ll find a classic, quaint but hoppin’ main street packed with restaurants and bars. Grab a cup of coffee before or after your trip at The Frothy Cup. Winter Park, Colorado is a great mountain escape close to the front range, equipped with a ski resort and plenty of outdoor adventure. If you’re looking for a place to stay this winter (or summer! ), Winter Park Escapes has excellent vacation rental lodging options for families of all sizes. Experience the area how it was meant to, in the coziness of one of their beautiful resort properties or condos. Check out Winter Park Escapes for attractions and lodging if you’re headed that way!